I have long been in favour of the analogy between text and textile, and I must admit that the more I encounter it the more I am fascinated by it. Perhaps because it combines two of my favourite things (Tor excluded -- although he is quite often covered in one or the other, so we can count him in). the text is a tissue of citations, resulting from the thousand sources of culture. Not only does this image do away with the idea that reading text is about drawing the veil (see?) aside and seeing what is behind and underneath it (the True meaning of the text, hidden by the clever author); it manages to conjure up the image of the woven cloth that not only requires the myriad intersecting threads of language in order to become what it is, but also the idea of the cloth that can be folded in any number of ways, and also (certainly if it is anywhere near my bedroom floor) simply scrunched up in new and unexpected ways. It is not only a good image of the text as we read it, but very neatly sets out the relationship between texts (where texts are not only literary texts or the written word, but anything and everything that can be given meaning -- which is pretty much everything that surrounds us: I have always taken Derrida's "il n'y a pas de hors-texte" to mean that there is no outside-the-text because we live inside it). But I digress. 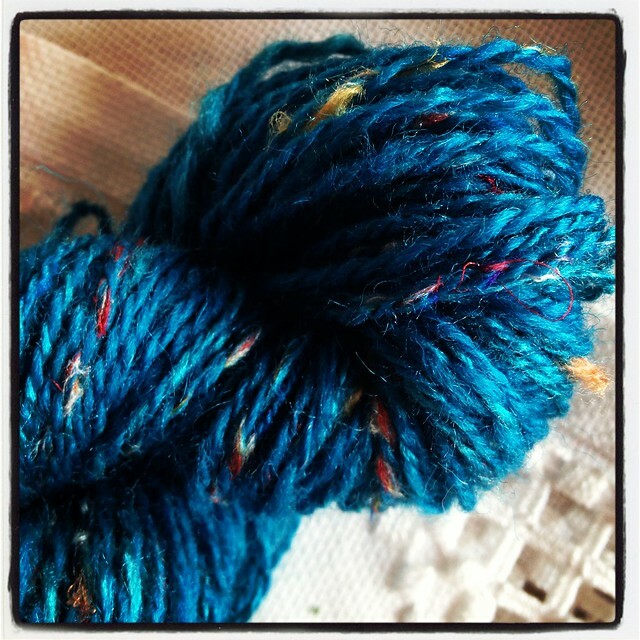 The point is, I've taken up spinning (not the horrid form of exercise, but the semi-hypnotic making of yarn). And the more I spin, the more this idea of the text as textile comes back to me. Because there is also the expression "to spin a yarn" in the meaning of telling a story (mainly, I think, of the long and less credible sort). 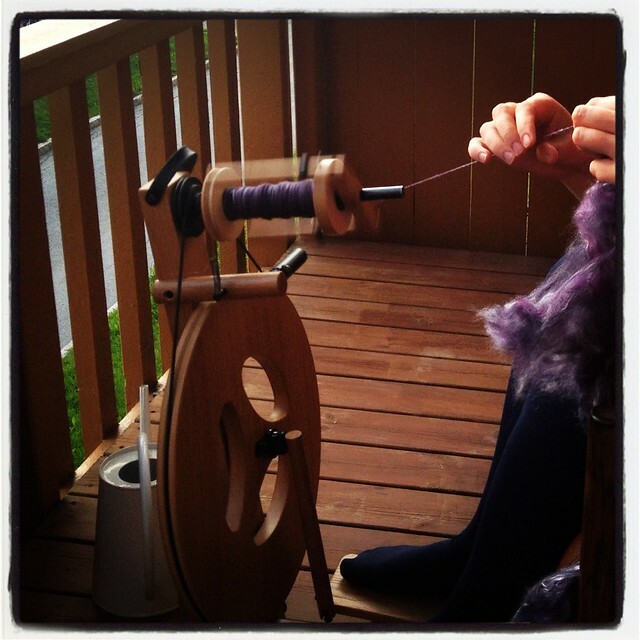 Spinning yarn quite neatly does away with the illusion that a thread is a single, unified thing. It is not just something that can be used to create the wider text (or textile) together with all the other threads; it is itself made up of a controlled, but semi-random collection of fibers, twisted together in subtly unpredictable ways, always faintly shifting and sliding against each other, but also keeping each other in place and thereby contributing to the longer thread, which goes on and on and can therefore intersect with other threads. The more I think about it, the better I like Barthes' image. And that is not even getting into the difference between spinning silk, alpaca, bamboo, cotton, merino, angora (or combining them all). Or colours. Or the plying that makes the single thread a sturdier yarn. Det er nesten så jeg skulle ønske jeg hadde studert litteratur og/eller lært å spinne. Forøvrig, når jeg leser slike artikler føler jeg at jeg burde lese Barthes for virkelig å kunne kalle meg intellektuell, og det irriterer meg litt, for jeg tror ikke du følte at du burde lese Kerningham & Ritchie når du leste artikkelen jeg skrev om pekere.